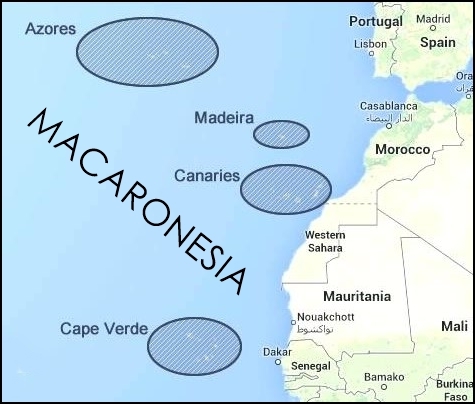 Until last year, I'd never heard the word "Macaronesia" to describe the four clusters of islands in the eastern side of the North Atlantic. Adventures Abroad constructed a new island hopping tour to hit all these archipelagos, visiting a total of ten islands. It was a great way to see so much with all the complicated prep work ― flights, ferries, buses, hikes, hotels ― arranged by the AA team. Formed by volcanoes erupting from the ocean floor. High black volcanic cliffs along most coastlines. Only very short stretches of sandy beaches. Fairly small in total land mass. Some endemic species of fauna and flora. Colonized by the Portuguese or Spanish. Overwhelmingly (at least nominally) Catholic populations. The Canary Islands have more total land area and more inhabitants than the other three combined. Cabo Verde (aka Cape Verde) is by far the poorest and is the only one that has become an independent country, instead of being an integral part of Portugal or Spain (and the EU) like the others. Madeira is clearly the most dependent on tourism. The crew who signed up for the launch of AA's Macaronesia island hopping. The great height of the mountains. So many colorful gardens and elegant parks. So many well restored and lively "old towns." Superb infrastructure of bridges, tunnels, and highways in the three "EU" islands (Azores, Madeira, Canaries). The big dairy economy in the Azores. Lack of sandy beaches (OK with me). The surging Chinese presence in Cabo Verde since I visited in 2013. 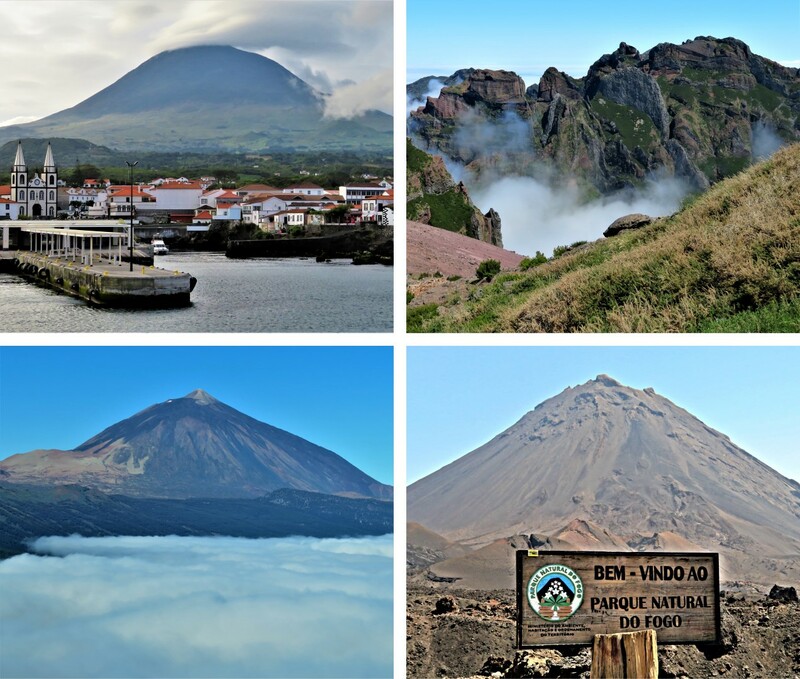 The wide variety of activities that AA assembled for us (e.g., whale watching, wine tasting, volcano climbing, cheese making, hot springs soaking, lava tubing, varied gourmet meals, on and on). AZORES: Ponta de Pico (highest point in Portugal). MADEIRA: Pico Ruivo viewed from Pico do Arieiro. CANARIES: Teide (highest point in Spain and Macaronesia). CABO VERDE: Pico do Fogo (highest point in Cabo Verde).